Whatever the weather, we've got you covered! 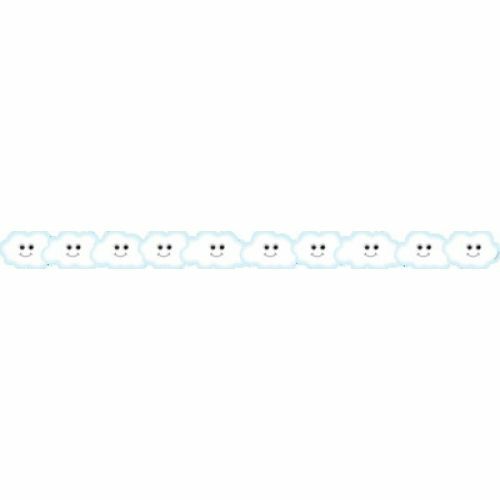 Teachers and students will just love this happy, kid-friendly Cloud Border! Use for decorating your bulletin board or classroom walls when teaching about the weather, seasons, environment and more! Pair with our Cloud Bulletin Board Letters, Green Grass Border, or Happy Sun Border. 36 Feet of Borders in each package! 12 Strips Each 3" x 36".